How do you actually move on once it’s over? 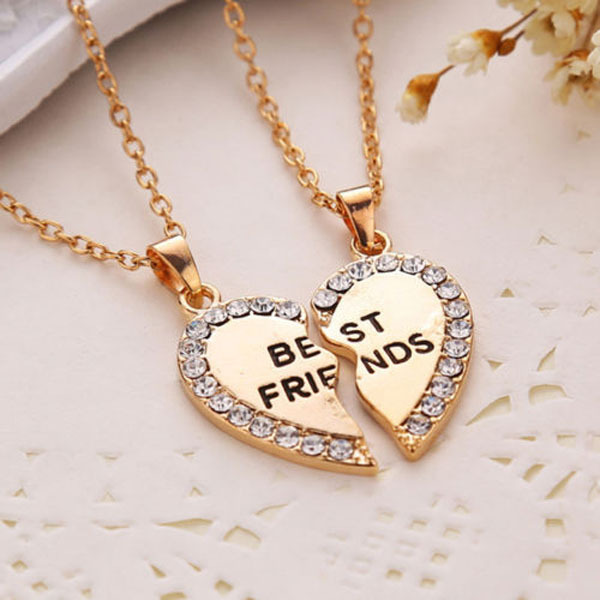 BFF breakups are brutal and here’s why… Because over the course of your relationship you absorb elements of each other – ideas, styles, modes of being in the world – consciously and unconsciously. You change each other on levels that are both so obvious and so subtle that they’re almost imperceptible. But unlike romantic relationships where you can vent to your bestie for hours after a breakup, losing your best friend can leave you feeling even more empty and alone. A best friend breakup can happen for all kinds of reasons. Because of a betrayal, because they feel replaced or because one person becomes too needy and the relationship doesn’t feel reciprocal. Sometimes feeling unsupported after a significant life event, such as a parent’s death or the birth of a child is enough to end a friendship. Other times, friends may simply cease to have things in common. Honestly, best friends rarely are forever and being tossed aside by a best friend is just as painful as being jilted by a boyfriend. It’s no surprise considering the amount of negotiation necessary for friendships to succeed. You need to be able to manage conflict and have the capacity to talk about the relationship and set boundaries. People often don’t understand why, since we choose our friends, it’s such a big deal to un-choose them. But the loss of a friendship can be a serious life event because our friends become significant and lasting figures in our lives. Getting through it is not easy, but it can be done – it all depends on you. And once you move on things won’t look so bleak anymore. Here are a few tips on how to deal. 1. Don’t try to force closure. Closure feels like an emotionally healthy thing to want, but it has to come naturally, and when you’re both calm. If you’re in the middle of a heated breakup with your best friend, it can be difficult to explain how you both feel without escalating the situation. Forgiving them (and yourself) can be done without it. 2. Give yourself something to look forward to. Since friend breakups can hurt just as much as romantic breakups, some of the antidotes, like keeping busy, are the same. Do stuff to help boost your mood like exercise, spending time outdoors, expressing gratitude, helping others and spending time with people whose company you enjoy. 3. Meet new people – but don’t pressure yourself to find a new BFF. If the friend you lost was the person you spent most of your time with, you can have an overwhelming desire to fill that void immediately. But strong bonds have to happen organically. In the meantime, casting a wide net and opening yourself to new people is never a bad thing. Take a yoga class or do volunteer work. The more time you spend around people, the more likely you are to form new friendships. 4. Purge your social media if needed. Is there anything more frustrating than seeing an ex-friend flaunting their new squad on Instagram? Being reminded of them at all (but especially when they seem unaffected by losing you) can be super hurtful, but it’s also easily avoidable. The unfollow and untag buttons were invented for this reason. Don’t block them if you don’t want to, but keeping their stuff off your radar for now is probably for the best. 5. Have a plan when dealing with mutual friends. If you hang out with some of the same people you may have the added issue of, “What on earth do I say to everyone who still thinks we’re besties?” The answer is – not much at all. A simple response like, “We don’t spend much time together anymore” will suffice. 6. Accept that you may never reconnect. Chances are, you either never want to be in contact with this person again, or you’re holding onto hope of reconciliation someday. While the idea of picking up where you left off can sound wonderful, you can’t actually count on that as a possibility. In time one of you might reach out and you can rebuild your friendship, or you just won’t ever speak again. Whatever happens in the future, you need to move on for right now. The silver lining to the breakdown of a friendship is addressing your own potential negative behaviors, if there are any. There’s always an opportunity to learn and grow as a person. On the hand, your friend may have just been deeply problematic on their own, and you might have to realize a difficult truth – there was nothing you could’ve done to fix it. Charlene is an advocate of individuality and a firm believer in pancakes for dinner. Her biggest passions are writing and music, with bylines at Glamour, GQ, HuffPost, Fortress of Solitude and Backstage with Jon Bon Jovi. She loves movies, reading and is a closet comic book superhero geek. As an avid Harry Styles enthusiast, she spends far too much time watching his music videos online.